Do you have an innovative idea or product for the agriculture sector? Introducing BC’s very first AG-Tech Venture Acceleration Program for entrepreneurs. XLRator is a non-profit organization founded to attract and support technology entrepreneurs within BC’s Fraser Valley. XLRator has recently developed the strategy to leverage local prominent industries in order to promote and support technology based innovation in the Fraser Valley. Part of the strategy and the roll out of the overall plan includes delivering an AG-Tech Venture Acceleration Program. This will serve to enable the BC Ministry of Agriculture to achieve its vision of an innovative, adaptive and globally competitive agri-tech sector in BC. XLRator’s AG-Tech Venture Acceleration Program will promote agriculture technology innovation and commercialization by providing start-up and early stage agri-tech technology entrepreneurs in the Fraser Valley with the coaching and resources they need to maximize commercialization opportunities and accelerate growth. During the 31 month period for which this plan covers, the objectives of XLRator’s AG-Tech Venture Acceleration Program are to engage twenty-six client ventures. By providing agri-tech technology entrepreneurs with the coaching and resources that have historically been limited in BC, XLRator anticipates an increase in the number of entrepreneurs that start and succeed in growing agri-tech technology companies. This increased success will create jobs, improve regional economic sustainability, and enable BC’s agri-tech sector to remain competitive and advance sustainability. How does our AG-Tech Venture Acceleration Program Work for You? What is the cost of the AG-Tech Venture Acceleration Program? Non-Member Price is $500 and includes an annual membership with XLRator. 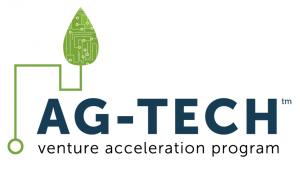 Are you interested in learning more about the AG-Tech Venture Acceleration Program? Please complete our Contact Us form and include all your information. A member of our AG-Tech team will be in contact with you to answer any questions you may have. Registration process of the AG-Tech Venture Acceleration Program is simple! Please click on the button below to complete our online registration form. Once we receive your information our EIR will in contact with you to discuss if the program is a good fit for you.